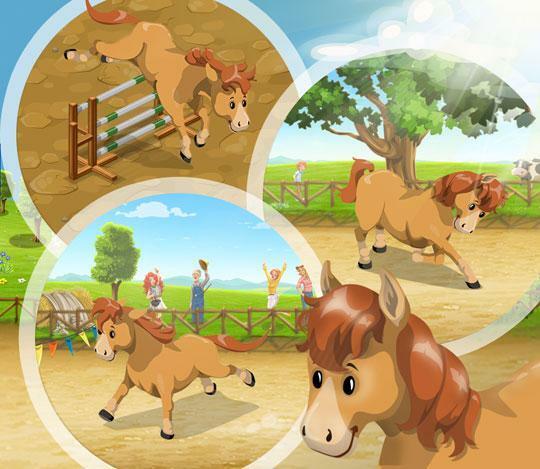 The Horses of Big Farm - Play Horse Games - Free Online Horse Games - Virtual Horse Games! You cant run a farm without a little horsepower, and in Big Farm there are a few you can own to help you out. The horses add to the value of your farm and can help you out in a variety of ways, though not a true horse game there is a lot of fun to be found in this game. Give it a try today and experience this brilliant free game for yourself.